A staggering 220+ recipes, with beautiful full-color photos. Imperial and Metric Measurements: so you don’t have to do the math! 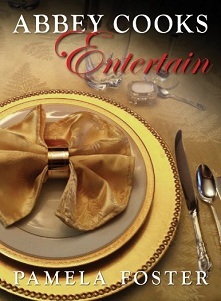 Entertain Fellow Fans: Recipes for brunch, afternoon tea, cocktails, and dinner upstairs and down, or just sitting down to watch Downton. Garden Party Basics: host a traditional garden party with a host of Edwardian classics. 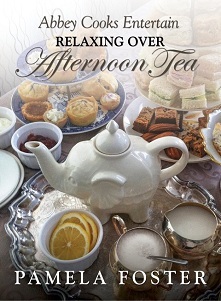 Celebrate English holidays with recipes throughout the year. Basic Recipes: lots of basic recipes to help stock your larder. 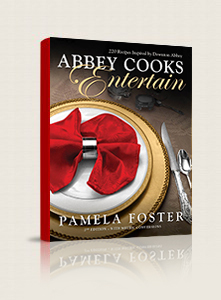 Written by a Downton Abbey fan, this is a cookbook for all of those cooks who wish to bring a touch of English tradition to their own Abbey. Check out the national press coverage the book and my passion for cooking has attracted. Inspired by the fine cuisine served at the fictional Downton Abbey and other grand English country houses at the turn of the century, this book combines food, history and healthy eating. You can download a signed version of this book here in a matter of minutes in Mobi, ePub or PDF format. You can buy the Print version on Amazon.